True or false? A litigation team's forensic expert will be rigorously cross-examined. If this binary poser seems suspicious, you're on target: It's a "trick" question implying that all forensic experts are cross-examined. But that's potentially true only for experts who testify. In fact, a CFE can play two forensic roles on a litigation team. Perhaps the one better known is that of an expert witness, who, as the term implies, testifies and thus can be questioned by counsel to either party in a proceeding. However, a CFE also can serve as a consulting expert, providing crucial advice to a litigation team without appearing on the witness stand or in court. Depending on your background and interests, this practice niche might hold professional opportunities for you. Let's see how a CFE with ample experience in this arena deals with its varied challenges. Like the question above, others aim to shape responses, not just seek them. In this way, a skillful cross-examiner can recast an expert's testimony in the minds of judge and jury, which could undermine its validity or even reverse its intent. But experienced forensic professionals also are adept at resisting mischaracterization or suppression of their analysis and findings. One such expert is Janet McHard, CFE, CPA, CFFA, CFF, president of McHard Accounting Consulting LLC, of Albuquerque, N.M. The three-person firm also includes her business partner, Vice President Beth Mohr, CFE, MPA, who is a retired San Diego police officer, and an accounting associate. Together they specialize in forensic accounting and accounting reconstruction - a service we'll explore later in a case study. On large engagements, the firm brings in subcontractors. "I was able to become an expert witness because I was in the right place at the right time and had the right credentials," McHard said. She began her career as a paralegal, and thus was well-versed in litigation long before becoming a CPA in 1998 and then a CFE in 1999. But even earlier, McHard had developed a strong interest in fighting fraud. 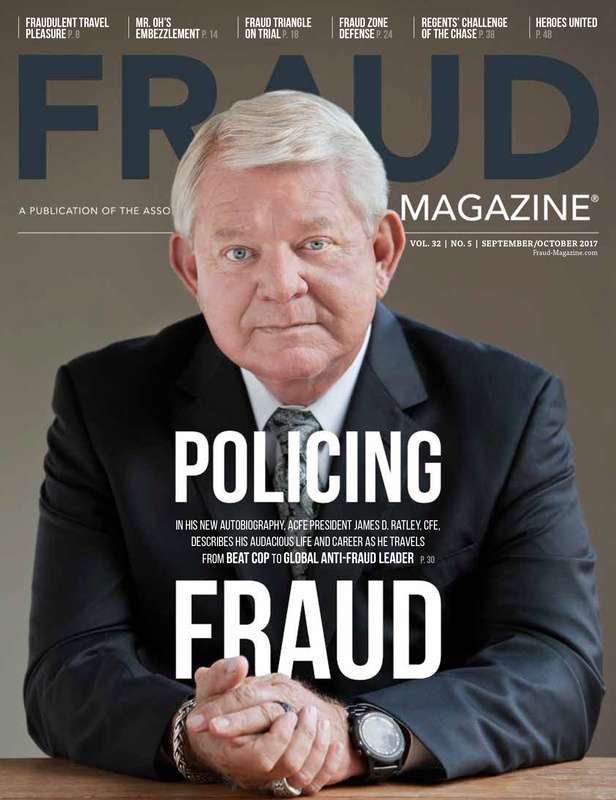 "In February 1994 I read an interview of [ACFE Founder and Chairman] Joe Wells," McHard said. "Its description of his work and the ACFE changed my life. From that moment on everything I did, including becoming a CPA, was a means to an end: earning my CFE credential." She cites her early legal training and experience as crucial factors in becoming a sought-after expert witness and consulting expert in civil and criminal proceedings. Of course, her success is due to other factors as well. "For an expert, the most important thing is to be neutral," McHard said. "Always present an objective opinion, regardless of which side engaged you. It's the ethical thing to do. Plus, if you base your analysis on anything other than the facts of the case, it won't be difficult for the opposition to refute your testimony." On more than one occasion, despite what the hiring attorney wanted, McHard wouldn't provide testimony that the facts didn't support. So she was fired. But that's a price she said she's more than willing to pay to maintain her integrity and reputation for neutrality. "An attorney's job is to advocate," McHard said. "But as a CFE and expert witness, my job is to provide a neutral opinion, not to advocate." 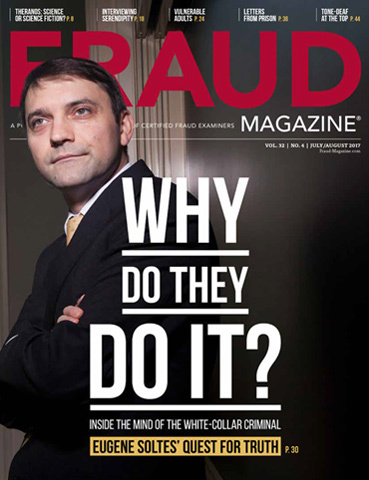 In one criminal trial on corporate fraud charges, the prosecution engaged McHard as an expert witness. Defense counsel promptly challenged her findings relating to several illicit financial transactions. "Isn't it true that the defendant is the only person you considered might be the guilty party because that's what you were hired to do?" defense counsel asked McHard. "No," McHard replied, having anticipated and prepared for such questions. "I investigated eight suspects. And the evidence I impartially gathered led me to conclude that only the defendant could have executed the unauthorized transactions." McHard credits author Stephen Covey for what she has found to be good practical advice. "Begin with the end in mind," he said in his still popular 1989 bestseller, "The Seven Habits of Highly Effective People." Instead of scrambling to cope as events occur, Covey advised, envision a desired outcome and plan ahead to achieve it. With the benefit of hindsight, this might seem self-evident. However, if rushed or overly concerned with minutiae, a prospective witness could inadvertently fail to anticipate opposing counsel's most devastating attacks. Experienced and thorough, McHard hadn't made that error. Result: expert service that met her client's need and McHard's demanding performance standards. "Cross-examination lasted less than five minutes," McHard recalled. "The opposition couldn't make any of my testimony seem biased or incomplete." Case closed. Professional reputation further enhanced. On another expert witness assignment, McHard reconstructed from original documents nearly three decades of accounting records for a partnership the principals were dissolving. The total proceeds were approximately $4 million. 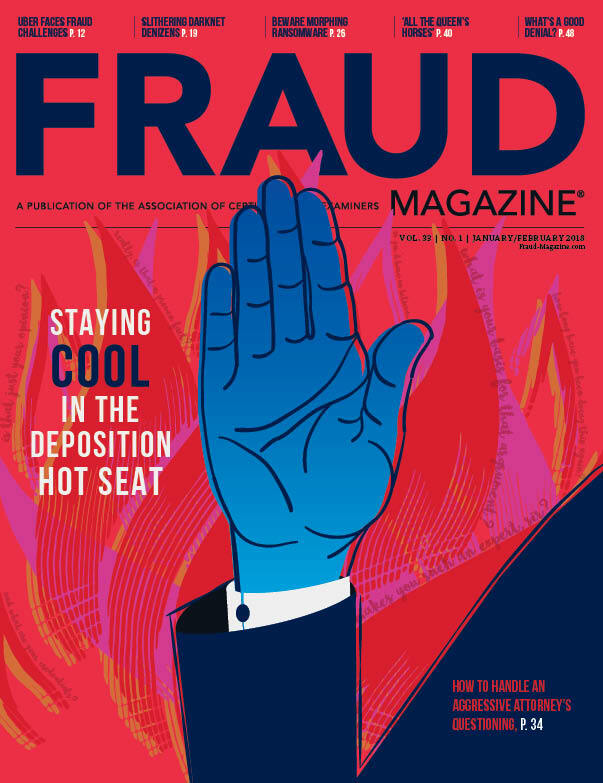 In a civil suit, one partner sued the other for all of it and charged fraudulent misrepresentation by McHard's client, who was the other partner and the firm's former bookkeeper. 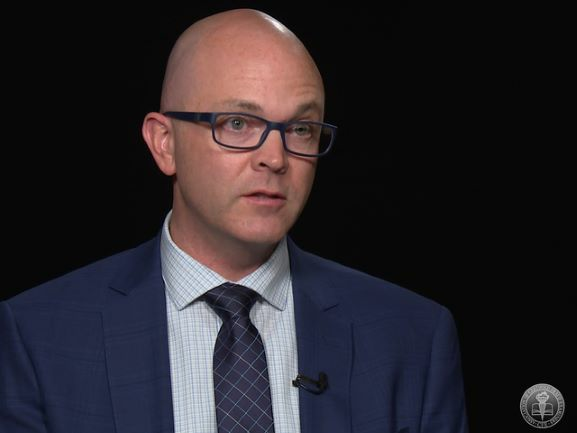 Usually, McHard said, statutes of limitations of five to seven years, depending on the nature of the allegation, restrict the reconstruction period. In this case, though, the ownership interest was based on each partner's contributions over 27 years. "I examined decades-old checks and invoices, entered them into QuickBooks and presented the output as exhibits for my report," McHard said. "They revealed that my client actually had a 75 percent interest in the partnership's proceeds." "Although my client hired me as an expert witness, I never had to testify," McHard said. Instead, she attended the settlement mediation, at which her written report allowed the partners to end their dispute in one day. Sometimes an attorney will hire McHard as a consulting expert but have no intention of putting her on the stand. In those instances, she said, her job is to support the advocacy of the attorney and to find any weaknesses in it. McHard meets with the legal team, and together they review the accounting records. She then identifies the strengths and weaknesses in the client's position and explains accounting concepts and terminology plus the ramifications of the accounting transactions. Typically, consulting engagements do not involve preparation of a written report. In a recent case, McHard said, the attorney called her well in advance of taking any legal action. The attorney gave her and her team the facts of the case and asked her to determine whether they supported litigation. McHard investigated, looked at the accounting records, interviewed company officials for three days and determined what actually happened. McHard and her partner then sat down with the attorney and said, "You don't have a case. In fact, your client is the one who owes money." "My God, you're right!" the attorney replied, after seeing just one of the many documents McHard and her colleagues had gathered during the interviews. "So, the people who hired us had to pay the other side," McHard said. "But everybody was happy because they avoided $75,000 in litigation costs." "Bear in mind that every expert report you write will be questioned," McHard cautioned. "So be prepared to stand behind it in deposition and at trial. If you're not sure about any aspect of your report, omit it or eliminate your uncertainty so that you can address the topic confidently." It's important to know what your report is going to be used for; get a clear explanation from your client. Limit the scope of your report to only those subject(s) you must cover. Write to a specific audience. If there is more than one, it might be worthwhile to prepare a separate report for each. Attention to detail is essential. If you are careless on one report topic you think is of secondary importance, the opposition will use that deficiency to characterize your entire report as similarly unreliable. "To succeed in this field, you have to understand the litigation process and how attorneys think," McHard said. "Lawyers don't speak accounting, but you have to speak legalese to communicate with them. That's the way it is ." McHard said that roughly 70 percent of her cases are civil matters and the rest criminal. In the latter, she tries to work as much on the defense side as for the prosecution. "I think that demonstrates my neutrality," she said. Attorneys on both sides of the aisle have told her they are comfortable hiring her because of her experience on victim- and defense-sided cases. In addition to the accounting and fraud seminars McHard is required to attend, she also goes to numerous continuing legal education events, where she meets attorneys and stays current on issues that improve her understanding of litigation and her performance as an expert. She also makes presentations at such events so those in the legal and accounting professions will think of her firm when they need an expert witness or consulting expert. "For me, it's the most effective form of marketing," she said. "I want attorneys and CPAs to know that we're ready to provide the services they need. When a case comes in, I want their first call to be to us." 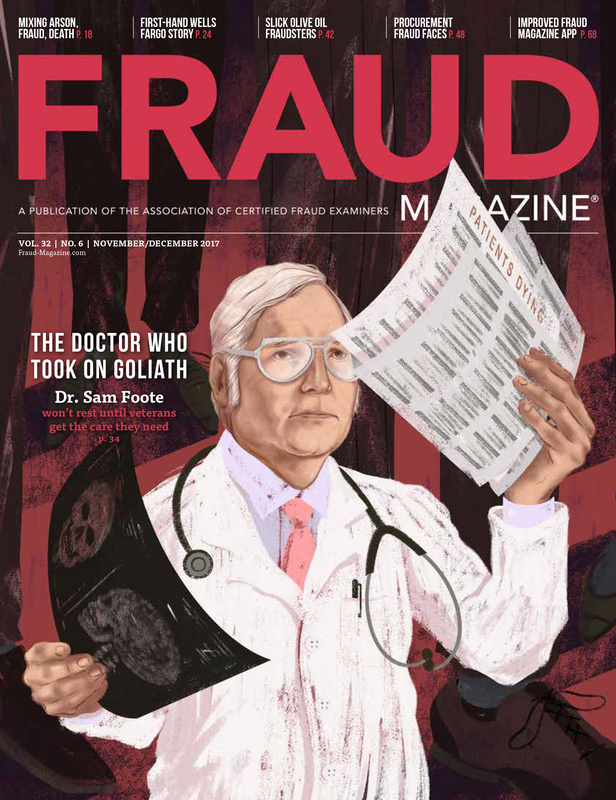 The Association of Certified Fraud Examiners assumes sole copyright of any article published on www.fraud-magazine.com or www.ACFE.com. ACFE follows a policy of exclusive publication. Permission of the publisher is required before an article can be copied or reproduced. 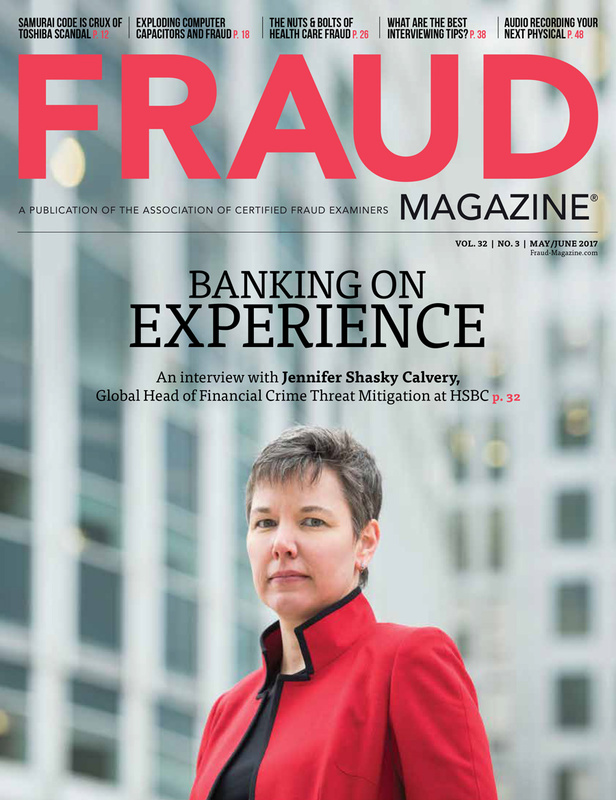 Requests for reprinting an article in any form must be e-mailed to FraudMagazine@ACFE.com. The ACFE Foundation has awarded a record $53,000 to 30 college and university students through the Ritchie-Jennings Memorial Scholarship Program for the 2011-2012 school year. 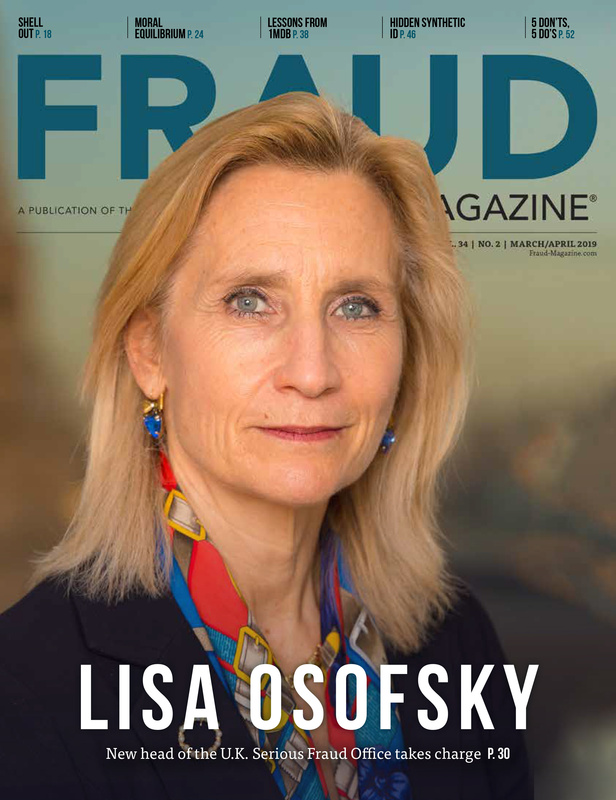 Dismantling a "web of lies" can strain even the most experienced investigators, but it is an important skill that new and budding fraud examiners should begin to master. Counterfeit drugs harm many unsuspecting victims. In some cases, they pay the ultimate price - their lives. It really improves my understanding of the CFE roles.